Justice is getting what you deserve. Mercy is not getting what you deserve. And grace is getting what you absolutely don't deserve.Award-winning author and columnist Cathleen Falsani says, "People regularly ask me why I believe in God. The simple answer ... is grace." 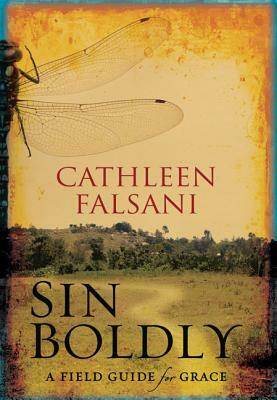 In Sin Boldly: A Field Guide to Grace, Falsani explores the meaning and experience of grace through story and song, quotes and photos.Falsani says, "Grace makes no sense to our human minds. We're hardwired to seek justice, or our limited idea of what that means, and occasionally dole out mercy. Grace is another story." Sin Boldly is an uplifting, multifaceted, and thought-provoking look at what makes grace so amazing.